Let’s talk about those eyes. The film is based upon a popular manga and anime and James Cameron was determined, from the earliest point, to recreate that stylized big-eyed look famous to Japanese art. It’s one thing on the page and another brought into real life, and the response has been all over the place. 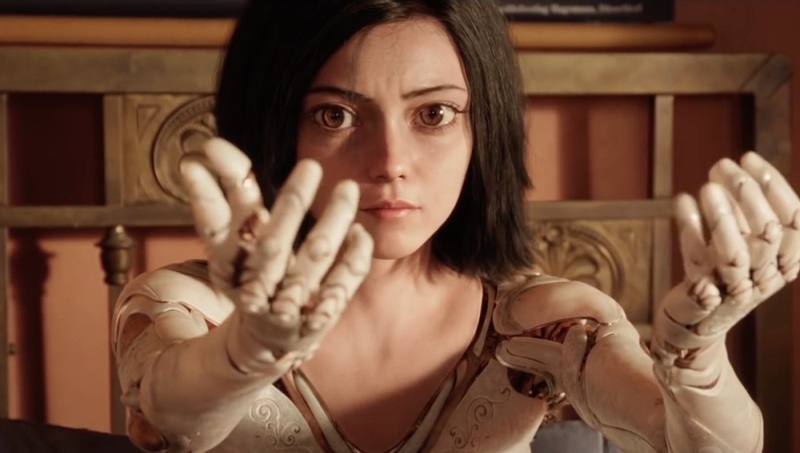 Some cite the uncanny valley and cringe while others argue it makes Alita more vulnerable, the eyes being the window to the soul and all. It does set her apart from the crowd, which is supposed to befit her character and where she came from, so to that end it works. It’s not as distracting as I feared, and you do grow accustomed to them. However, was any of it necessary? 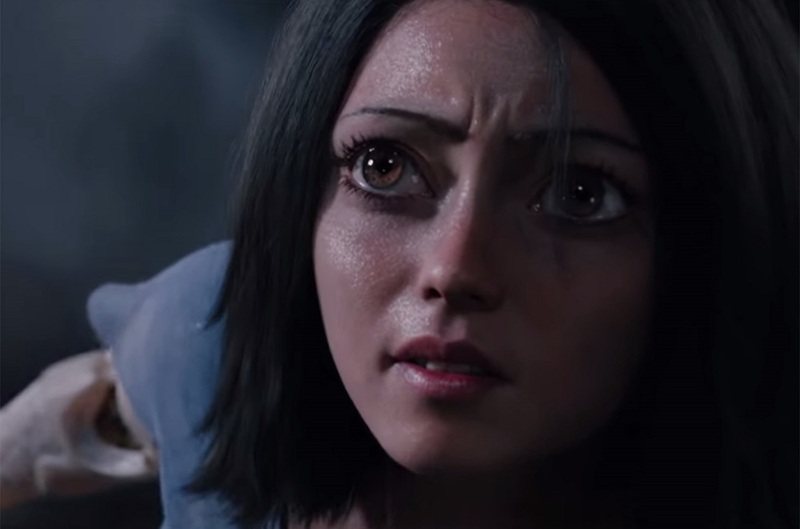 Would we feel any different for Alita if she had more human-sized eyes? I doubt it. The costly effect of a very costly movie ($200 million reported) made me think of a similar quirk with the 2011 Green Lantern film where Ryan Reynolds’ suit was a CGI effect. Rather than simply wearing a costume the filmmakers spent millions applying one in post-production, and in the end what of value did it offer to the experience? 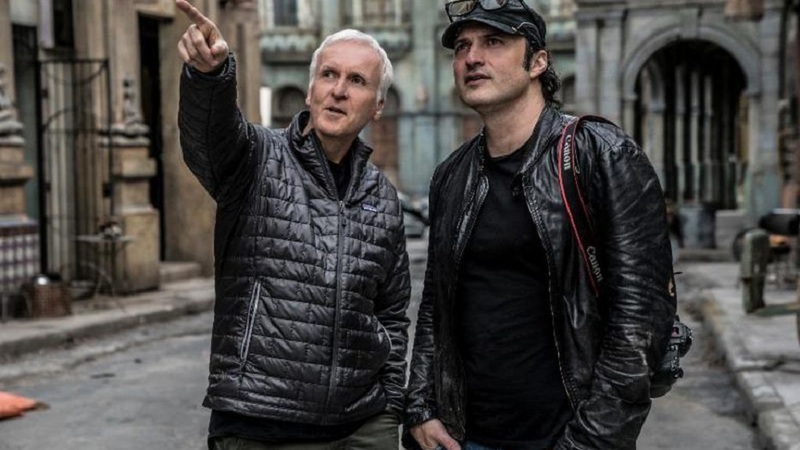 It’s hard for me to watch Alita: Battle Angel and understand why this was a property that James Cameron set aside for almost two decades. What about this makes it special or at least separates it from the pack of imitators? It’s a world with points of interest and characters that could be interesting, though many stop short at the design phase. The live-action version is entertaining and visually sumptuous, but I was finding myself grow tired of the film’s loose stakes, predictable plotting, simplistic themes, and archetypal characterization. The action can be pretty fun but even as Alita lines up more obstacles and more enemies we never feel threatened or concerned. Without a larger sense of danger and plot development the many fights start to grow monotonous. The special effects are wild, but they service a story that seems ordinary genre. 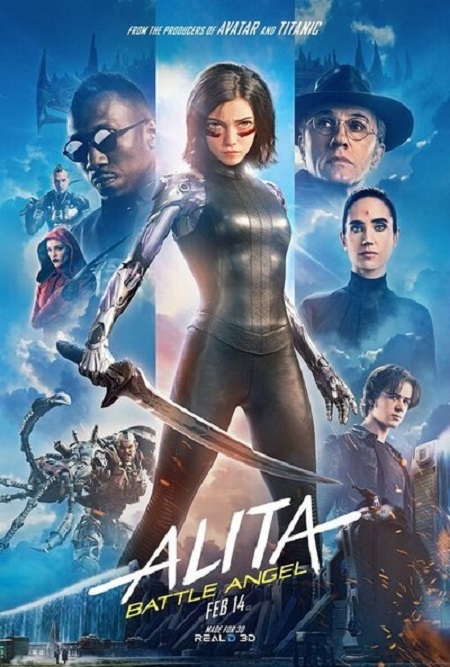 Alita: Battle Angel ought to please fans of the source material but it short-circuited for my attention.